+60 degrees Celsius. That alone was a strong incentive for my recent jaunt down to Santiago. But as it turned out, it was also a trip down memory lane. Loyal readers of this blog will recall that I spent 6 months in Chile's capital in 2011, managing a project for my employer and using any spare time to discover bits of this diverse country and its people. This marked my first return to Santiago since, and the first time I experienced the city at the height of the southern hemisphere's summer, which made for the stark contrast in climate to Montréal's icy winter. I eagerly expected the heat, packing my bathing suit and sunglasses. What I didn't expect was the strange sense of wistfulness that took hold of me pretty much from the moment I got into a taxi at the airport. From the smell in the air (no, not the jet fuel!) to the Chilean accent of the taxista, things seemed so familiar. Later that day, as I strolled down the streets of Providencia, I reacquainted myself with many of the stores and cafés I used to go patronize. Soon, I sat on a shady patio munching away on empanadas de pino and drinking a cold Austral. Nostalgia didn't cloud my vision enough not to notice that the city has progressed remarkably. There was an gigantic new shopping mall at the foot of South America's tallest tower. The parque metropolitano had a new cable car, and new signage throughout. And the eco-certified office building which just broke ground in 2011 was now the location of my client meetings. Yes, Chile has done well in the meantime. So what about myself, I inevitably started wondering as I sipped a Pisco Sour in the warm evening light. The boundless enthusiasm and optimism of 2011 have given way to a more cautious realism. I have changed roles twice, but not employer. I am still in Canada, but now as as citizen, rather than a temporary worker. I may have grown a bit wiser, but probably also more cynical (the depressing sight of the former site of our Chilean office, long-since shuttered, didn't help). Much like to the Pisco, there was a touch of bitterness to it. But bitter goes with sweet, and not just in the chocolate araucano ice cream that rounded off my dinner. I have also found companionship, and the continued privilege of roaming the globe (including a trip to the Chilean-administered Easter Island in 2013). 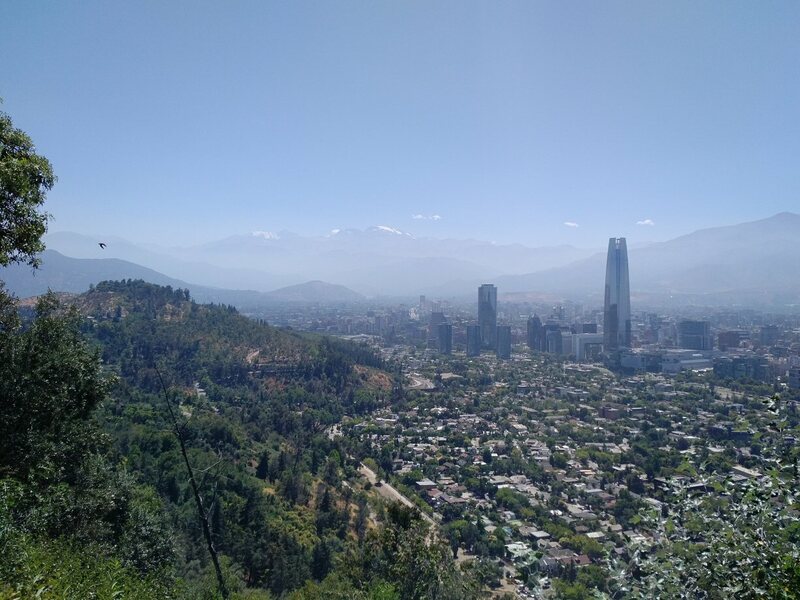 Still, when I left Santiago after an all-too quick return visit, I did so with a sense that the city had advanced more in the last 6 years than I had.